Another epic year in film and television and with it we once again honor the best of the best in our industry at the Local 706 2018 Make-up Artist and Hair Stylist Guild Awards(MUAHS). Set to take place on Saturday February 24, 2018 at The Novo by Microsoft at L.A. Live, it will hosted by Comedienne Loni Love. This year we see nominations from the talented makeup and hair styling teams of films such as Blade Runner 2049, The Shape of Water, and Guardians of the Galaxy Vol. 2 and from TV shows such as The Handmaid’s Tale, Saturday Night Live and Glow. Nominees were announced from 23 categories and will honor make-up artists and hair stylists outstanding achievements in motion pictures, television, commercials and live theater. “Congratulations to all the nominees who should be very proud of their extraordinary creations! We had a record number of artisan entries this year, and we look forward to celebrating their unique achievements and exceptional bodies of work,” said Sue Cabral-Ebert, MUAHS President. A night of full-on Hollywood glitz and glamour, honoring top creatives in 23 categories of film, television, commercials and live theater, took place this past Sunday, February 19, at this year’s Make-Up Artists and Hair Stylists Guild Awards (MUAHS). The event was held at The Novo by Microsoft at L.A Live before an audience of guild members, industry executives, media and fans. The 2017 awards were presided over by Local 706 President Sue Cabral-Ebert, Business Representative, Tommy Cole and hosted by comedian Loni Love (The Real). 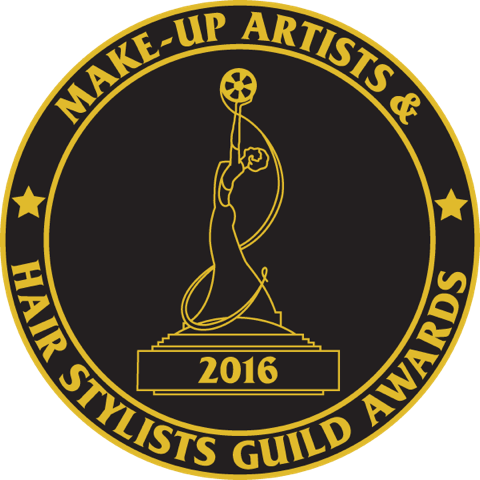 Nominations for the 2017 Local 706 Make-Up Artists and Hair Stylists Guild Awards (MUAHS) have been announced, and include nominees in 23 categories honoring make-up artists and hair stylists outstanding achievements in motion pictures, television, commercials and live theater. Winners will be revealed during the annual black-tie MUAHS Guild Awards ceremony on Sunday, February 19, 2017 at The Novo by Microsoft at L.A. Live. Please see list below for a list of all 2017 Nominees. The Make-Up Artists and Hair Stylists Guild Awards (MUAHS), 2017 Lifetime honorees are Emmy®-nominated make-up artist Leonard Engelman and Oscar® and Emmy-nominated hair stylist Barbara Lorenz. Both will be honored at the annual MUAHS Guild Awards, held on Sunday February 19, 2017 at The Novo by Microsoft at LA Live. “Leonard Engelman and Barbara Lorenz bodies of work of are legendary, and we are proud to rank them among the best in the history of our profession. They are extraordinary artists and accomplished leaders in the industry, and it is our pleasure to name them as this years Lifetime Achievement Award recipients,” said Sue Cabral-Ebert, IATSE Local 706 president. The annual awards honors outstanding achievements for make-up artists and hair stylists in motion pictures, television, commercials, and live theater. The professional makeup and hair stylist industry’s best was on display this past week at The Make-Up Artists and Hair Stylists Guild Awards (MUAHS, IATSE Local 706). Bringing makeup and hair styling talent out from behind the scenes and into the spotlight, the event showcased 23 categories of hair and makeup and featured a red carpet entrance worthy of the biggest Hollywood celebrities. The event, which was held on February 20th at Paramount Studios Theater in Los Angeles, honored the top talent in make-up artists and hair stylists achievements in motion pictures, television, commercials and live theater. The awards were presided over by Local 706 President Sue Cabral-Ebert and hosted by The Real’s Loni Love. MAC Cosmetics served as the Presenting Sponsor and the Official Cocktail Reception Sponsor. Nominees for the Local 706 Make-Up Artist and Hair Stylist Guild (MUAHS) 2016 Annual Awards, were announced today by MUAHS President Sue Cabral-Ebert. Winners will be selected from from 23 categories, honoring make-up artists and hair stylists outstanding achievements in motion pictures, television, commercials and live theater at the Award Ceremony to be held on February 20, 2016 at Paramount Studios, and hosted by comedian Loni Love. Make-up artist Ve Neill and hair stylist Yolanda Toussieng, both Oscar® and Emmy® winners, will receive the Guild’s Lifetime Achievement Awards, presented by Johnny Depp. Additionally a special Distinguished Artisan Award will spotlight an actor or actress who was a distinguished creative partner in the process of making memorable characters throughout their career, to be announced in the near future. Make-up artist Ve Neill and hair stylist Yolanda Toussieng, both Oscar® and Emmy® winners, will receive the Lifetime Achievement Awards at the annual Make-Up Artists & Hair Stylists Guild Awards, honoring both make-up artists and hair stylists outstanding achievements in motion pictures, television, commercials and live theater. The awards will be held Saturday, February 20, at Paramount Studios Theatre, Hollywood.